Sony Ericsson to extend Xperia range? 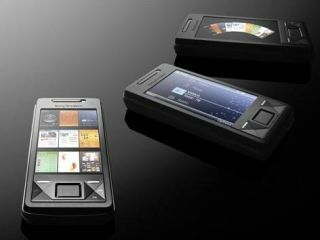 Sony Ericsson could be preparing to release more in its high-end Xperia device range, according to a release from Swiss company Esmertec. "Sony Ericsson has selected Esmertec's Jbed Java Multitasking Virtual Machine to power its revolutionary multimedia Xperia mobile phone range," reads a statement on the site. This shows the X1 device will just be the first of many from SE when released in September. The theory behind Jbed is to enable easy use of Java in any mobile handset using the application. "Sony Ericsson is shipping millions of innovative mobile phones each year and we are pleased that a world leader has recognized the strength and opportunities that our Jbed software technology offers inside mobile phones," said Thomas Hornung, Chief Executive Officer of Esmertec. "We look forward to continuing working with Sony Ericsson to bring pioneering Java solutions that enable them to achieve the flexibility and functionality they are demanding for their next-generation mobile phones."